Canberra is located 300 kilometres from Sydney and 655 kilometres from Melbourne and is accessible by road, train and air transport. Canberra, the capital of Australia ,is sometimes referred to as the bush capital because pockets of bushland reserve extend almost to the city centre and over half of the Australian Capital Territory, within which Canberra lays, is classified as national park or nature reserve. With a population of more than 313,000 people, Canberra is the city that Federation created. Australia's national government sits here, as does the highest court of Australia. Many of the most important monuments in the country are located in Australia and they're visited by millions of people each year. Some of these attractions include the Australian War Memorial, Parliament House, the National Gallery of Australia and Canberra's newest attraction, the National Museum of Australia. Canberra is a young capital, a planned city like many other capitals in the world. American architect Walter Burley Griffin designed the city after winning an international architectural competition in 1912. 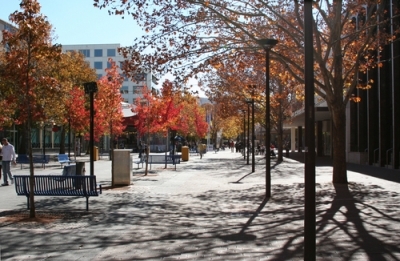 The spirit of his original design, which celebrates Canberra's natural environment, is still evident as the city grows.